29 May 2018 – The Philippine Trade Training Center (PTTC) takes a leap as it embraces its new role as the Philippines’ Global MSME Academy, by virtue of a Department Order (DO) issued and signed by Department of Trade and Industry (DTI) Secretary Ramon Lopez on April 18, 2018. 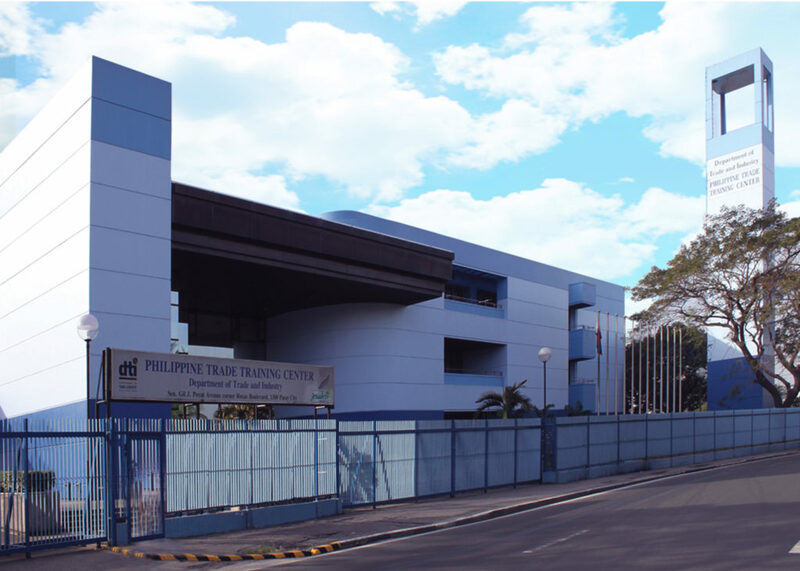 The order designates PTTC as a Center dedicated to the administration, development and conduct of trade-related training and management of facilities to support the requirements of globalizing industries and services most especially the micro, small and medium enterprises (MSMEs). Bureaus and offices within the DTI and all its attached agencies are enjoined to integrate their MSME-related training programs and projects with PTTC. Fully dedicated to this commitment, PTTC created Strategic Business Units (SBUs) and customized its programs on three major industries – processed food, services, and consumer goods, and categorized by MSME levels – foundation, intermediate and advanced courses. From the foundation courses on business management, finance and marketing, and production management, each SBU has a focused training pathway with specialized course modules to address expansion in the domestic market and lead MSMEs to gain access to market compliance and internationalization. PTTC also aligns its Entrepreneurship training programs for the youth, women and Overseas Filipino Workers (OFWs) in tandem with other institutions providing capacity-building programs for these focused sectors. “MSMEs need to be inspired then nurtured to cope with the ever-changing environment, where survival somehow depends on knowledge, skills and attitude. Partnerships and collaboration with international content providers as well as homegrown experts shall be maximized to enable PTTC to address a wider range of training needs of MSMEs,” said PTTC Executive Director Nestor P. Palabyab. Local partners include The Philippine MICE Academy, The Philippine Center on Entrepreneurship Go Negosyo, Bank of the Philippine Islands (BPI) Foundation Inc., World Trade Center, and Center for Future Leadership while International partner institutions are Taipei Economic and Cultural Office (TECO), International Trade Center (ITC) Geneva, Switzerland, Association of Overseas Technical Scholarship (Japan), Leipzig University, Germany’s Hinrich Foundation, and British Council of the Philippines. Apart from these partnerships, PTTC also collaborates with e-learning institutions such as the ITC-SME Trade Academy, ASEAN SME Academy, and World Intellectual Property Organization (WIPO) Academy for online training courses in finance, human resource, marketing, trade and logistics, management, operations and technology. Likewise, undergoing major improvements are the Center’s training facilities. The Food Connect Hub is available for activities related to the Food Connect Program, with working spaces available for small group gathering, networking and negotiations. Food Lab, is dedicated for food testing such as Water Activity, Water and pH Content and Metal Detector, intended for initial assessment of food properties for third party laboratory testing; and finally, the DigiFab Training Facility for product packaging prototyping, and the Creative Hub which gathers the young creative entrepreneurs to hone their skills and talents. As the trade training arm of DTI, mandated under the Administrative Code of 1987 and Executive Order No. 133, Series of 1987, PTTC’s mission is to provide stakeholders with high quality and relevant training programs at par with the best in the world, that transform Philippine MSMEs into global business entrepreneurs.